Air conditioning sheet metal products are some of the most versatile and durable air con supplies in Sydney today. 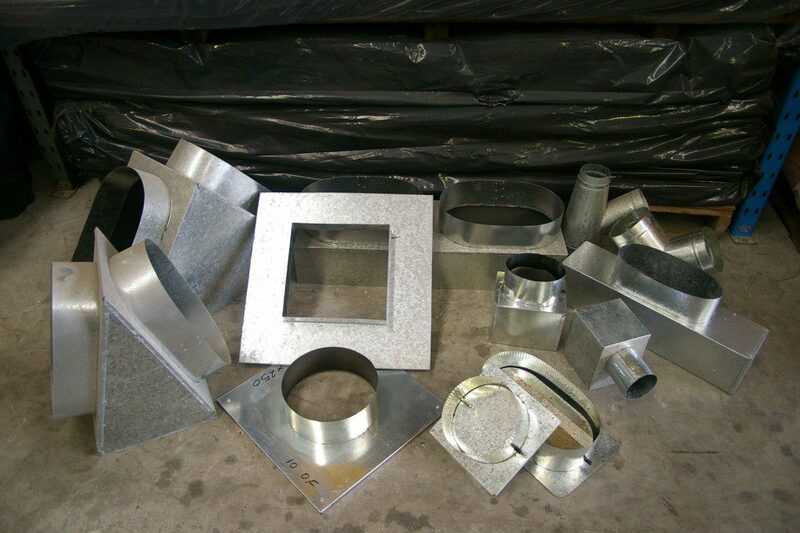 From V-boxes to drip trays, sheet metal is used for a number of applications in this industry. If installed with careful planning and accurate measurements, sheet metal accessories ensure optimum airflow and top-notch system performance at an affordable cost. The unmatched reliability of air conditioning sheet metal products can be attributed to their manufacturing processes which involve moulding, cutting and welding sheet metal with specialised tools and equipment. The manufacturing process consists of a number of other steps including shearing, bending, shaping, cutting, crimping and stamping of sheet metal before turning them into actual air conditioning sheet metal products. So, whether you choose sheet metal return air boxes, blanking plates, uni boots, cushion boxes or joining collars, you can rest assured that you’ll get extremely resilient products that are made to last. What Makes Air Conditioning Sheet Metal Products So Durable and Long-Lasting? Accuracy and Efficiency: Air conditioning sheet metal products are manufactured using the highest quality materials and cutting-edge processes. So, these are some of the most durable, accurate and efficient air con supplies in Sydney, especially when you get them from a trusted specialist like AirTag. These products are virtually maintenance-free and can handle daily wear and tear with aplomb. Weatherproofing: Air conditioning components are regularly exposed to moisture and other elements. So, they must be able to withstand these elements in order to maintain consistent system performance. Due to the way sheet metal products are made, they’re exceptionally weather resistant. Sheet metal is naturally corrosion resistant. Moreover, it is coated with protective chemicals for enhanced weather resistance. Easy To Install and Repair: Flawless installation is the key to any efficient air conditioning system. Since sheet metal products are highly accurate, professionals can install them quickly without any problem. Though sheet metal is exceptionally strong and long-lasting, in case damage occurs, it can be inspected and repaired easily. AirTag: The Leading Specialist of Air Con Supplies in Sydney. Located in Sydney’s western suburbs, AirTag offers a unique combination of vast experience, quality service, customer dedication and top quality air con supplies in Sydney. To know more about our products and services, visit AirTag or simply call our experts on 02 9604 1222 today!